Our tier-one mining operations in Canada and Kazakhstan have the licensed capacity to produce more than 53 million pounds (100% basis) each year. That’s backed by about 458 million pounds of proven and probable reserves and extensive resources on three continents. Cameco has been actively exploring for uranium in Australia since 1996 and is involved in several projects across the country, including two of Australia's largest undeveloped uranium deposits, Yeelirrie and Kintyre. Our Australian office is located in metropolitan Perth. We're proud to call northern Saskatchewan the home of our largest operations, including our newest mine, Cigar Lake. Our people and partners here, many of whom are local residents, help maintain safe operations, protect the environment and establish strong, healthy community and business relationships. 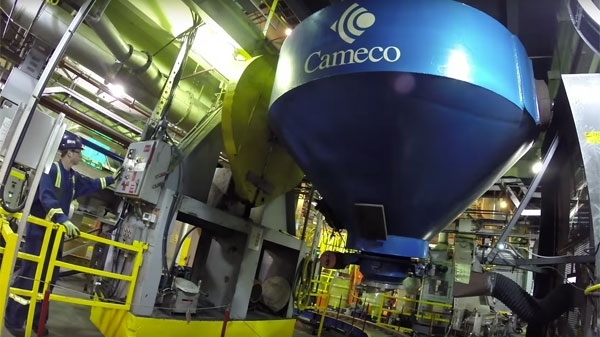 Cameco Resources uses an environmentally friendly in situ recovery mining process where uranium is extracted from wellfields, rather than open pits or underground shafts.